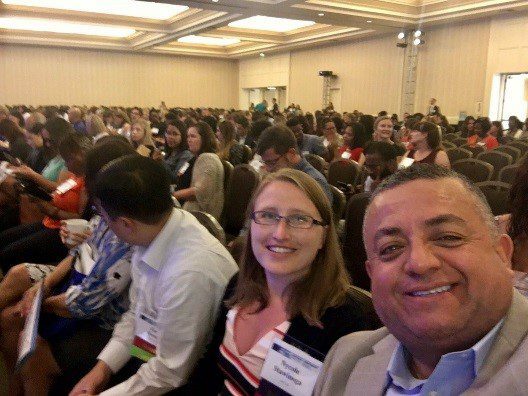 Last week my colleague Juan Garcia and I joined hundreds of educators, school counselors, advocates, nonprofits, foundations, and other education leaders in San Diego for the 2017 NCAN National Conference. 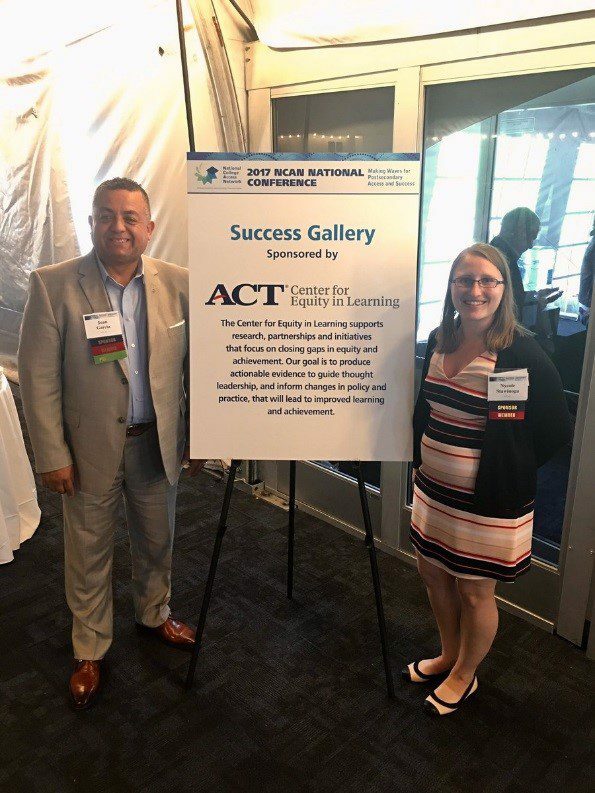 This year the conference theme was “Making Waves for Postsecondary Success” and included interactive workshop sessions, inspiring plenary speakers, exciting exhibits, and the fun Success Gallery and Reception, sponsored by ACT’s Center for Equity in Learning. As an NCAN conference newbie, I started the week off by attending the First Timer Session, which not only provided an overview of the conference and provided great opportunity to meet other NCAN newbies, but also gave out important tips such as not forgetting or losing your Success Gallery and Reception tickets! The conference also provided attendees with numerous opportunities to learn from experts across the education sector on a wide variety of issues. Speakers from Project Grad discussed the importance of social emotional learning (SEL) and how to help students develop SEL skills. Experts from Educators for Fair Consideration, the Dream.US, and the Road Map Project spoke about ways to support undocumented students’ access and succeed in college. We learned about an innovative partnership between Education at Work and Arizona State University to support working learners. The American College Application Campaign also introduced a new collaborative website called www.steps2college.org to help students, families, and educators navigate the college-going process. We wrapped up the week with an interactive discussion on equity in education and removing barriers for underserved learners. 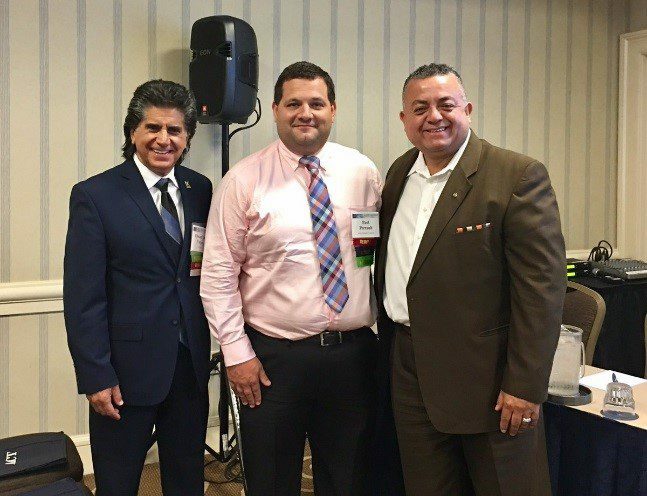 Joining Paul Perrault, Helios Education Foundation and Dr. Lee Vargas, AVID, our own Juan Garcia shared with the audience the research and work ACT Center for Equity in Learning is doing to close equity gaps in education. 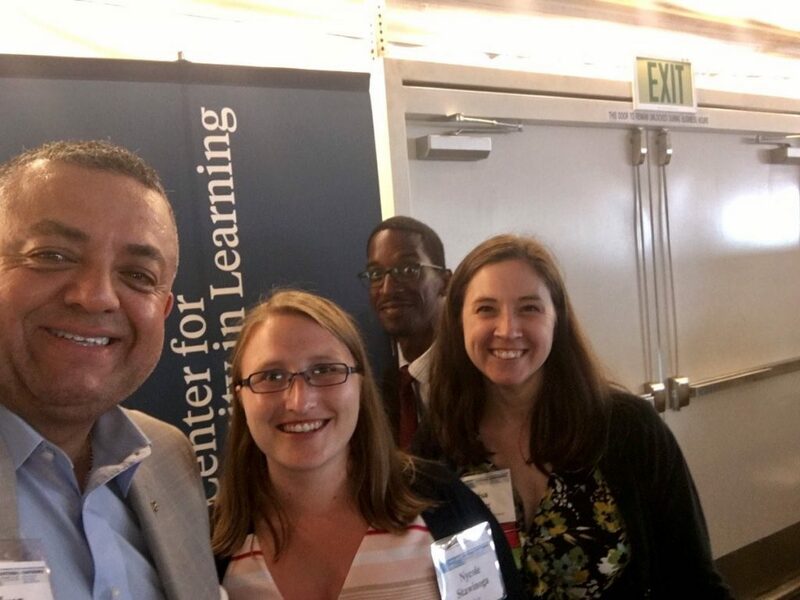 Overall, NCAN 2017 was a success and provided an abundance of opportunities to learn, converse, and network with colleagues who are deeply passionate about college access, success, equity, and ultimately ensuring all students succeed. We’re looking forward to NCAN’s 2018 conference in Pittsburgh. For a look back at our week at the 2017 NCAN Conference check out our Twitter handle @ACTEquity and hashtag #NCAN2017. @ACTEquity was one of NCAN2017’s most mentioned accounts during the conference!